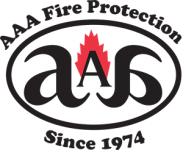 For thorough commercial kitchen hood cleaning in Richmond, CA and throughout the East Bay and North Bay Areas restaurants, turn to AAA Fire Protection Services. We offer professional fire suppression services to commercial kitchens including a grease filter exchange service, installation of restaurant hood fire systems, and thorough restaurant exhaust cleaning. Here is a closer look at what we can do for you. At AAA Fire Protection Services we understand commercial kitchen fire risk and the standards laid out in UL300. Our grease filter exchange service replaces outdated mesh-style filters with UL300 approved Baffle filters which help to reduce airborne grease from making its way into kitchen hood systems. The new Baffle filters stop 80 percent of grease. In addition, grease build up is one of the biggest causes of total loss fires in restaurants. That is why we offer thorough grease exhaust cleaning. UL300 requires exhaust hood filters be airtight, and that exhaust cleaning occurs at least twice per year by a professional cleaning company. We want to be your professional cleaning company because we help your kitchen become compliant with UL300 and to remain compliant. For more information about grease hood filters and our exchange service or for a personalized quote for service just give us a call at (800) 543-5556.